Established in 1834 one of the oldest cricket clubs outside of Dublin is opening its new home grounds today. This event is a clear demonstration of the changing face of communities in the county and the richness which this can contribute as the arrival of refugees is being credited for the revival of Carlow Cricket Club. 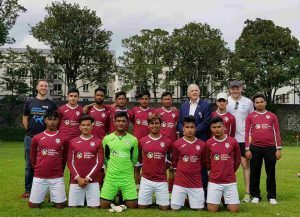 With a mix of Irish, Eastern Europeans, Australians, Asians and the Rohingya community Carlow have been able to have two adult and two children's teams. 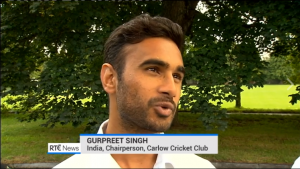 Carlow County Development Partnership are delighted to see Carlow Cricket Club and the Rohingya community receive national attention for all their hard work on the revival of cricket in Carlow. It has been great to be apart of this community project. Well done to all concerned! The training concentrated on ways to maximize participation in the final funding period 2018-2020 which will be launched shortly with a budget of €30 billion, as well as learning about the project leaders from Ireland who have already benefited from the €75 billion Horizon 2020 EU Framework Programme. Horizon 2020 is the EU Programme for research and innovation, and covers activities from research to market. It focuses on preparing society for the challenges it will face in coming years, such as how to develop supportive communities for older persons or how technology can make communities more inclusive. To date, Ireland has secured funding of €424 million, representing 1.66% of the total EU budget committed. 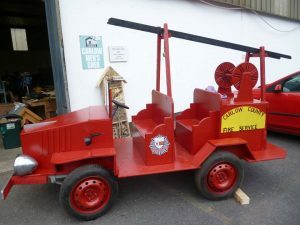 Carlow County Development Partnership is also engaged in "forward-looking activities" and in sowing the seeds for how the county will look in five and ten years time. The Horizon2020 funding touches a number of areas which the Company is engaged in, especially under the heading "Societal Challenges". This covers areas such as Health, Demographic Change and Well-being, which includes Older persons and mental health, Climate Action, Environment and Resource Efficiency, which would cover energy efficient communities and Inclusive, Innovative and Reflective Societies, which includes social Inclusion, migration and integration. Because of the number and variety of programmes it has been involved in over the last 15 years, CCDP is ideally suited to being a "Living Lab" for some of the social, environmental or economic areas that need to be researched in order to prepare the county for future challenges and promote greater societal involvement. In every mans shed is a world of wonder. The treasure chest of tools, parts and screws collected through a lifetime of tinkering. All the problems of the day can be resolved, all the DIY tools are available and nothing seems impossible. It’s true to say that a man in his shed can be a tranquil and paradisaical place. The mugs of tea gather as time disappears into the ether. As the fishing rods get prepared, the bicycles get oiled up, lawnmowers being cleaned, garden sheers being sharpened or the car engine getting dismantled, it is a sanctuary. Often you might hear the shout after an ill-timed blow from a hammer or the murmurs of a radio in the background being interrupted by noises of saws or screw guns pulsing. Great projects are being creating, works of wonder imagined and the practicality of modern household problems being repaired and improved. Now imagine a place where a collective of men can get together in order to share skills, work on individual or group projects and share the comradery of getting the job done. 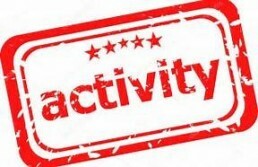 Restoration projects, community projects, woodworking, painting and the chat. Carlow is lucky to have a places like these. 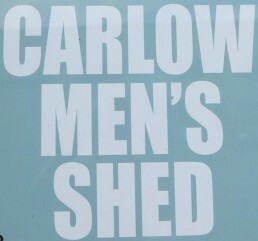 The first Men’s Shed in Carlow was formally established in June 2011 under the Carlow Men’s Health Project (CMHP). The CMHP was a group comprising of St. Catherine's Community Services Centre, Carlow County Development Partnership, Men’s Development Network, RAPID, HSE, Carlow Local Sports Partnership, Waterford IT and Carlow IT that focused on improving men’s health in Co. Carlow. The CMHP also secured funding to enable the future development of the shed. With these supports in place a co-ordinator for the Carlow Men’s Shed was appointed in June of 2011 for 10 hours/week and the Men’s Shed was officially launched during National Men’s Health Week (13th – 19th June). The Men’s Shed began on Tuesday June 21st, opening one day a week, and has steadily grown to its present status, engaging and supporting men 3 days a week. The ethos is a community-based, non-commercial organisation which is open to all men where the primary activity is the provision of a safe, friendly and inclusive environment where the men are able to gather and/or work on meaningful projects at their own pace, in their own time and in the company of other men and where the primary objective is to advance the health and well- being of the participating men. 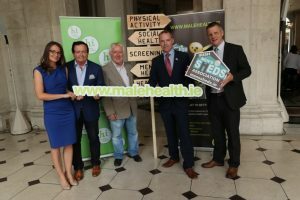 July 20th 2017 was a proud day for men’s sheds in Ireland, as the Irish Men’s Sheds Association launched its new men’s health website, www.malehealth.ie. The new website offers information, resources and advice from over 40 Irish health organisations. The website’s menu is intuitive and easy to navigate, being based on a graphic of the male anatomy. Users select their age-range, click on the part of the body they want to find out more about, and are then presented with a menu of health topics (including conditions, ailments and lifestyle issues). They can then select from the menu to be taken directly to the website of the country’s leading authorities on that topic. READ MORE HERE. 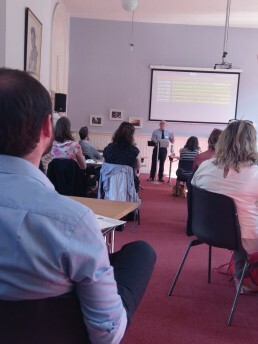 Keith Parker, MA anthropology, is a Carlow County Development Partnership Tús participant. His placement is with the Scout Troup in Borris where he also contributes to the design and content of the Parish Newsletter. From his own personal interests and his area of study, Keith has developed excellent skills in the areas of local history and traditions and he is researching in a number of areas to support local tourism and heritage. Keith has had articles published in The Carlow Nationalist. 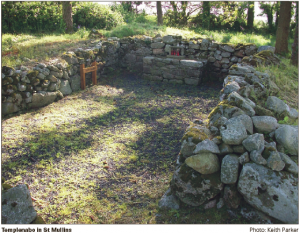 His most recent appeared on July 11th 2017, detailing the pilgrimage in St Mullins which has its origins in the 7th Century. Below is a copy of the article. EACH July sees the annual celebration of the pattern take place at St Mullins in the south of Co Carlow. It is an ancient tradition in the form of a pilgrimage and accompanying fair, which usually occurs on the first Sunday before St James’s Day (25 July). St James was one of the 12 apostles of Jesus Christ and is the patron saint of pilgrims. The term ‘pattern’ is believed to be a corruption of the word ‘patron’ and is by no means a tradition unique to Carlow. 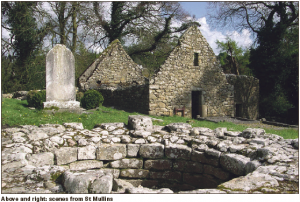 Legend has it that the initiation of St Mullins as a place of pilgrimage occurred in the seventh century AD. St Moling, who was quite an industrious and entrepreneurial character, laboured for many years to realise the construction of a millrace (a stream which powers the turning of a mill wheel). He is said to have consecrated the completion of this stream on St James’s Day and the earliest form of the pilgrimage consisted of wading against the water of the millrace to obtain the intercession of the Irish saint in the afterlife. However, it is thought by many that patterns in general and their association with holy wells have some of their origins in pre-Christian rituals. The circumambulation of holy sites during the pilgrimage, which involves the circling of a stone or stone altar as part of a religious rite, bears similarity to the circular movements (deiseal) which are believed to have occurred during pagan rituals and can still be seen in some belief systems today. Whatever the origin of this annual event, the curative powers of the holy well and the yearly fair seem to have maintained the ability to draw thousands of visitors to the site throughout ancient and modern times. Other historical events also served to add momentum to the development of the pilgrimage. The Black Death of 1348AD saw thousands of pilgrims descend on St Mullins in the hopes of obtaining a cure or gaining protection from the deadly pestilence. From the 1540s AD onwards, the confiscation and/or destruction of Catholic churches began a movement of Catholic parishioners back towards these holy sites. This movement was extended even further with the introduction of the Penal Laws in 1607AD and Catholicism in Ireland was forced to relocate outdoors as holy sites became centres of secret worship and devotion. The route and ritual of the pilgrimage also progressed in form and function. At one stage, the bearing the pattern took consisted of walking around the site of St Moling’s mill nine times before progressing to the ruins of St James’s cell (which may have been built in honour of the original consecration of the millrace). By the 19th century, it had evolved into a much more elaborate form of ritual which consisted of three penitential rounds of the holy well, the drinking of water from the well, wading through a stream which flowed from the well, progressing uphill for silent prayer at the high cross, three rounds of the ruins of St James’s cell, three further rounds of the ecclesiastical site itself, nine rounds at the grave of St Moling in the ruins of Teampall Mór (big church) and final prayers in the sanctuary of this same church. At various stages of the procession people crawled on their hands and knees or walked barefoot. Today, people drink from the holy well before attending the graveyard Mass held at the penal altar. Although the millrace, which gave birth to the pilgrimage, at least in legend, no longer featured as a focal point for religious devotion, it was used in other ways over the centuries. In 824/5AD, for example, Vikings diverted water from the millrace into a nearby moat as part of the tactical fortifications they made in the area. The millrace has long ceased to function as a water course, but evidence of its existence can still be clearly traced along the landscape. 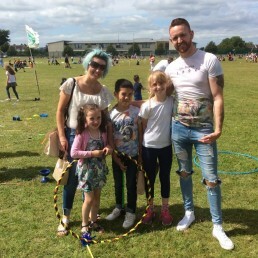 The fair, however, has retained its special importance throughout the ages and at times has taken the profile of a more boisterous affair than might be expected. In 1839, a staggering 80 gallons of whiskey were brought in for the celebration of the pattern. The resulting outbreak of public disorder resulted in a riot with police before one man was shot dead. Copious amounts of whiskey may no longer form part of the pattern today; however, you can be sure of a huge attendance at an event that has managed to bridge the centuries and seems set to continue in the same manner for some time to come. 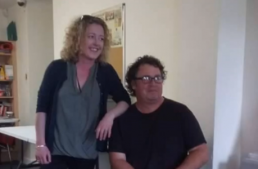 Take a Part Carlow is a community arts project based in the Tullow Raod area of Carlow Town. Artist Michael Fortune held a workshop with the group recently. It was a great introduction to what community art can be. 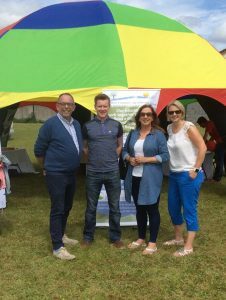 Carlow County Development Partnership were delighted to be able to support the Rohingya community's participation in the UNHCR and Sport Against Racism Ireland Fair Play Football Cup event on July 2nd. 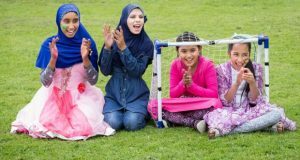 This event is Ireland’s largest World Refugee Day event, and saw 20 teams of men and women playing in the annual tournament at the Law Society Gardens in Dublin.The tournament featured teams drawn from refugee and community groups, direct provision centres, NGOs and members of the media. Along the Rohingya who come from Myanmar, approximately 160 players from a host of different countries took part, including Angola, Vietnam, Afghanistan, Eritrea, the Democratic Republic of Congo, and Somalia. 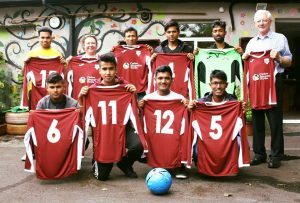 We were delighted to be able to support the team through the provision of a new kit, which member of the CCDP Board Joe Butler and SICAP Development Worker Annette Fox presented to the team on Saturday. They proudly wore the jersey as they met with David Stanton T.D., Minister of State at the Department of Justice & Equality, and as they played, making it to the quarter finals of the competition. This tournament provides a wonderful opportunity for different communities to come together to commemorate World Refugee Day and celebrate the changing face of communities in Ireland. Katrina Curry is a current Tús participant who has taken the opportunity to follow her goal. After her previous place of employment had been sold, Katrina looked at what her next steps would be. 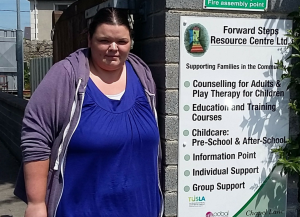 With the help of Carlow County Development Partnership, a Tús placement was found within Katrina’s local community in the Forward Steps Resource Centre that would allow Katrina to work in an administrative role as a receptionist. The placement started in September 2016 and is currently on going. Katrina was appointed a Tús supervisor who was able to utilize funding provided to help Katrina to upskill. The TESG grant is available to all Tús participants to use towards training that may help the participant to further improve their skills in order to better their chances in employment. At the time of writing Katrina has another 3 months on the Tús scheme. After that she will have to vacate for the opportunity to be available to someone else.